Learn English grammar through graphics! 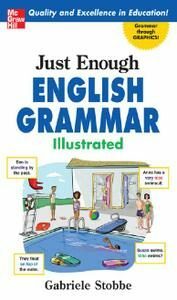 To make grasping grammar easier–and more fun–Just Enough English Grammar uses colorful cartoons illustrate each important grammar point. You see the grammar concept in action, guaranteeing you will remember it next time you need to use it in writing or in conversation. Learning grammar has never been so easy!